It has been dubbed ‘Scotland’s silent killer’ and urgent action needs to be taken to help the 1.3 million adults in the country estimated to be living with the condition, according to a major new report. High blood pressure is a major cause of heart attack and stroke, and the report by a cross-party group of MSPs has called for a coordinated effort to tackle the issue. As someone who played a key role in shaping the publication, Professor Isla Mackenzie wholeheartedly agrees with its recommendations. 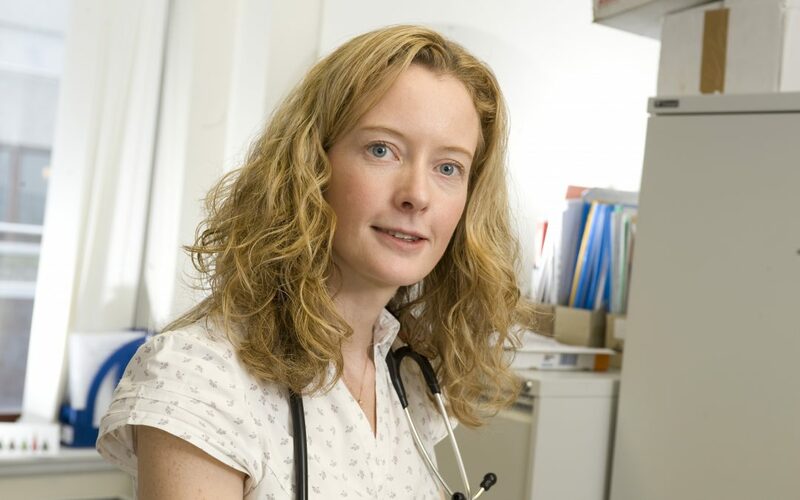 Isla is Professor of Cardiovascular Medicine at the School of Medicine and an Honorary Consultant Physician. She was one of the clinical academic members of the advisory panel to the inquiry and contributed to the development of the report through a series of meetings as well as public and professional consultations into high blood pressure. “This report highlights high blood pressure as an important and treatable cardiovascular risk factor in the people of Scotland,” she said. “One of the themes of the inquiry was that people should receive better support and education to enable them to take a more active role in understanding and managing their high blood pressure. 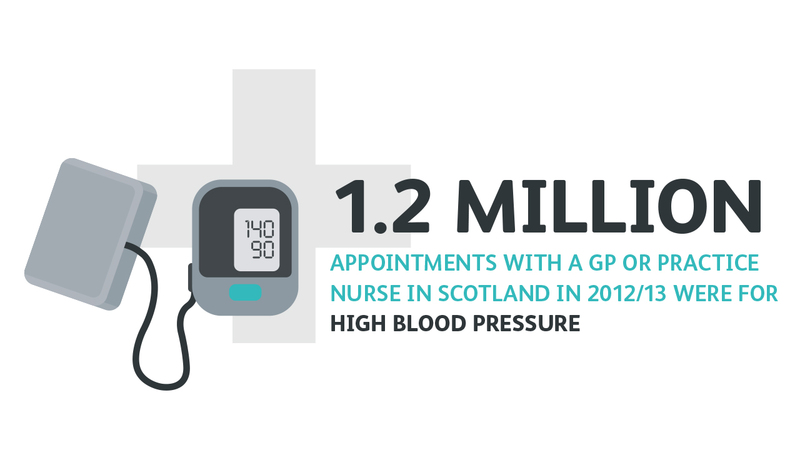 High blood pressure affects an estimated 1.3 million adults in Scotland, but less than a third of those people have their blood pressure treated and controlled to recommended levels. The condition is often referred to as ‘the silent killer’ because it does not usually have any symptoms, so people may not realise that they have it. Yet it is a leading risk factor for heart and circulatory diseases, which cost the NHS in Scotland an estimated £800 million each year, and cause more than a quarter of all deaths. The Holyrood inquiry was conducted by the Cross-Party Group on Heart Disease and Stroke in the Scottish Parliament. The group is made up of MSPs, clinicians, patients and third sector organisations, including British Heart Foundation (BHF) Scotland, Stroke Association and Chest Heart & Stroke Scotland. Its report recommends the establishment of a High Blood Pressure Task Force to focus on the detection, diagnosis, treatment and management of the condition. It identifies a number of areas for the task force to prioritise, including the need to increase early detection through community-based programmes, improve the number of people taking their medication as prescribed, address variation in different areas, and ensure that health care professionals have the information and training that they need. The report also highlights the growing potential of technology in encouraging patients to self-monitor and manage their high blood pressure, and the need to address some of the lifestyle risk factors that contribute to high blood pressure, such as smoking, obesity, physical in activity and alcohol. The report shows that when a coordinated approach to tackling high blood pressure was adopted in Canada in the late 1990s, it had a significant positive impact. This included improvements in the diagnosis, management and control of high blood pressure, together with a decline in death rates from related conditions like heart failure, heart attack and stroke. 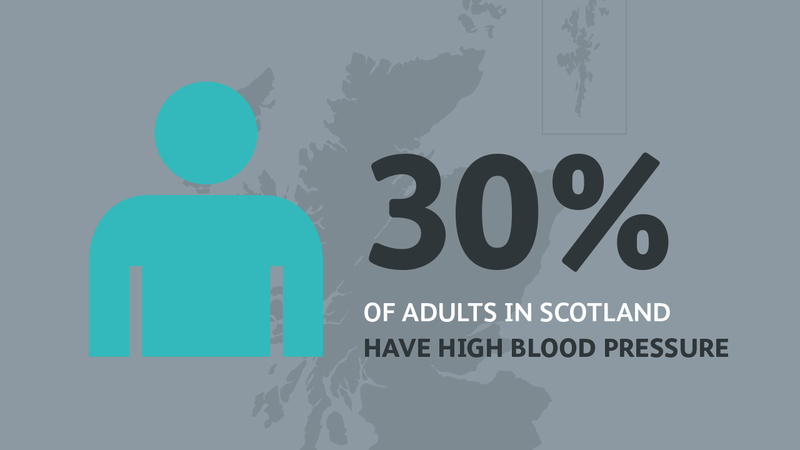 It is estimated that optimally treating adults diagnosed with high blood pressure in Scotland could avoid nearly 300 strokes and 200 heart attacks every year. Also known as hypertension, high blood pressure becomes more common as people age and can be reduced through lifestyle changes. If this does not reduce blood pressure enough, medication is prescribed to control it and reduce the risk of heart attack or stroke.